Tyler James, one of the directors of Sensible Ontario, meets the press. On the morning of January 26, in an east Toronto cannabis lounge still pungent from the previous night’s activities, a campaign that could shape Ontario’s political future was sparked. Up the street, protestors were gathered around Finance Minister Bill Morneau’s downtown Toronto constituency office, rallying against the government’s plan to increase the tax on medical cannabis, the only prescription medicine where tax is applied. 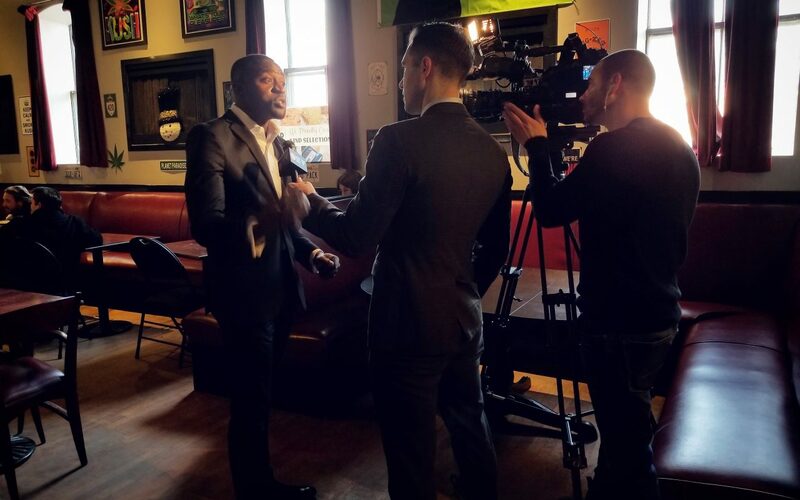 Inside the lounge, Sensible Ontario—a grassroots campaign from the Ontario Cannabis Consumer & Retail Alliance that is challenging Ontario’s cannabis legislation—was making its first media appearance. Sensible Ontario is pushing for legislation that permits both licensed cannabis lounges and private storefronts. 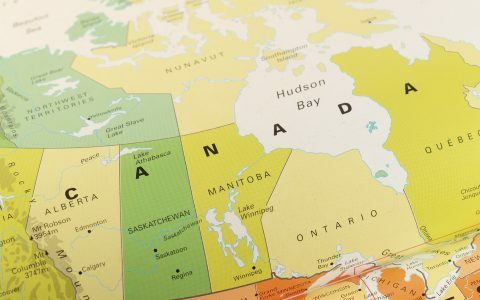 While the Canadian government has vowed to legalize recreational cannabis this July, they’ve left it up to the individual provinces and territories to set their own cannabis policies. While some provinces, like British Columbia and Alberta, have opted to allow private retailers, Ontario has emerged with a plan that has been criticized as extremely regulatory in approach, as it would ban both private dispensaries and cannabis lounges. Sensible Ontario would like to see a less militaristic approach, and a model that permits both licensed cannabis lounges and private storefronts. They’re confident that’s what Ontario’s cannabis-imbibing population would like as well. “A mixed-model approach would mitigate the burden on taxpayers, eliminate the black market faster, and allow for greater access, not just for recreational users but also for medicinal patients,” says Tyler James, the director of community outreach for Eden Medical Society, and one of the four directors of Sensible Ontario. The Ontario government has said they plan on having 40 retail stores operating across the province in July. For comparison’s sake, there was believed to be nearly 100 dispensaries operating in Toronto alone last summer. This has caused speculation that once legalization arrives the province will not be able to meet demand. Sensible Ontario is trying to mitigate future problems by crafting sensibly policy out of the gate, according to James. This June, one month before legalization, Ontario will hold a provincial election. Whoever wins will be in charge of shaping Ontario’s cannabis future. By the time the summer arrives, James suspects that cannabis policy will be a large issue, and, if the Sensible Ontario campaign goes well, in front of the public. Abi Roach, owner of the Hotbox Cafe, a cannabis lounge in Toronto’s Kensington market that’s been in operation for nearly two decades, is another director with Sensible Ontario. From her vantage point, she sees two problems with Ontario’s legislation: the shuttering of lounges and the insistence that cannabis be consumed only in private residences. “People in urban areas don’t have the luxury of a big backyard to go smoke a joint,” she says, before listing further complications, like having children in a home, or neighbors or roommates or landlords that are bothered by consumption. By eliminating the lounges, Roach says, there is a social cost, and a large community of people directly affected. Roach points to Colorado, which initially made similar laws about public consumption before introducing the Denver Initiative 300, which allow places like coffee shops, art galleries, and yoga studios to apply for permits allowing on-site cannabis consumption. As part of that process, officials from Colorado visited the Hotbox Cafe to see how the lounge operates. Roach is also worried that this legislation could cause people to smoke in their vehicles. Kovacs says that agenda is not only unfair to Canadians, but it doesn’t make business sense, either. Sensible Ontario will be fundraising to pay for a province-wide poll soliciting feedback from Ontario residents about cannabis legalisation. The end goal is to have more than 50,000 members collectively writing to their politicians, says Lisa Campbell, another director with the organization. The point is not to influence one party to win the election over another, Campbell says, but to target all parties and work with all politicians. On Friday morning, as Sensible Ontario launched its campaign, and the news media was gathered inside the lounge, cameras rolling, Roach went up the street to gather more cannabis consumers to join them. Recruitment was easy, she just had to step outside the front door.